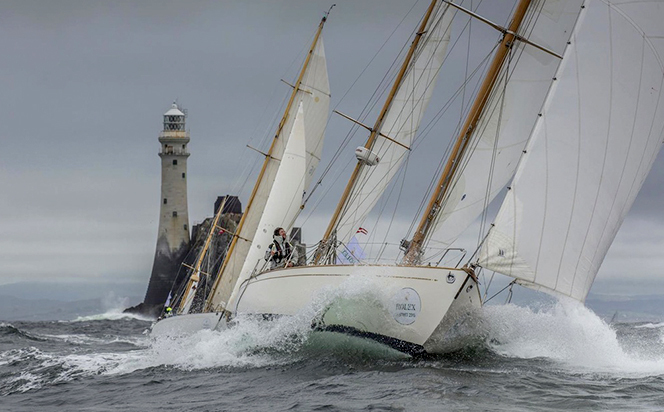 The latest edition of this biennial 600-mile offshore race from Cowes, UK, round the Fastnet Rock off the south-western corner of Ireland and back to Plymouth proved to be another classic. The record-breaking fleet of more than 350 boats encompassed everything from family crews on solid cruising yachts to Jim Clark and Kristy Hinze Clark’s new 100ft Commanche, the fastest monohull on the planet, and Yann Guichard and Dona Bertarelli’s giant 130ft trimaran Spindrift 2, the world’s fastest multihull. 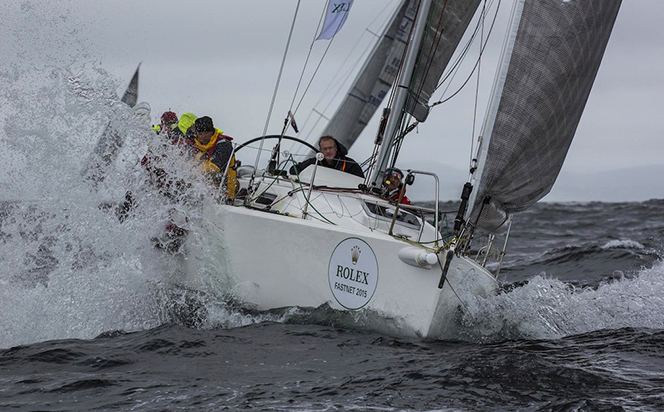 Neither the super light winds at the start, the numerous calms in the English Channel, nor the belts of rain in the Celtic Sea appeared to dampen the spirits of competitors. It was however a slow edition of the race, especially for the front-runners who finished a day or more outside the record time set four years ago. In the race for line honours Spindrift 2 was locked in a match race with Lionel Lemonchois’ 80ft trimaran Prince de Bretagne, for much of the final 80 miles. The larger boat prevailed in the end, while the runners up position eventually went to Lloyd Thornburg’s MOD70 Phaedo³, after Prince de Bretagne fell into a calm patch less than five miles from the finish. The bright sun and warmth of the first 48 hours were soon to become a distant memory as spells of driving rain swept across the fleet, bringing a welcome increase in the wind that sped the smaller boats towards Plymouth. Of the top 20 boats overall on corrected time, those in Class 3 took 12 places, with Class 4 taking a further six. Despite having started prematurely and taken 40 minutes to return to the correct side of the start line, Géry Trentesaux’s JPK10.80 Courrier Du Leon racked up a further overall victory to add to the impressive collection he has already notched up in this year’s RORC season. By the finish he had extended his overall lead on corrected time to 2.3 per cent, or two hours and 20 minutes. It was an impressive performance in a fleet that, for the most part, remained very tightly packed throughout the race. While French boats dominated the top of the results listings in most classes, this was not so true in the double-handed class, which was won by Stuart Childerley and Kelvin Rawlings’ J/105 Jester, who also took fourth overall in the IRC fleet. 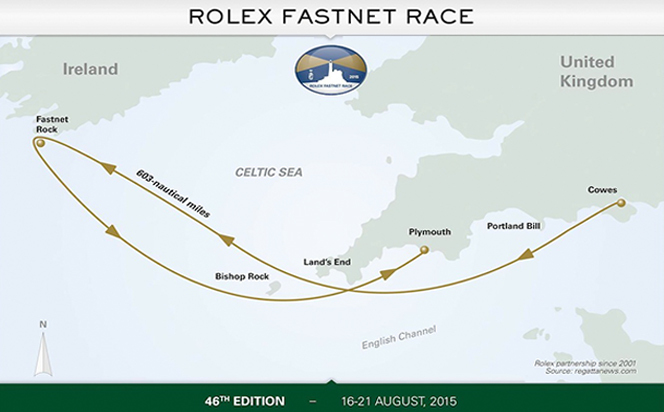 The next Rolex Fastnet Race, which is organised by the Royal Ocean Racing Club, is in August 2017, but be warned – it pays to enter early. This year the entry list was full only 24 minutes after it opened in January, although a number of boats on the waiting list were accommodated, almost up to the final day before the race.